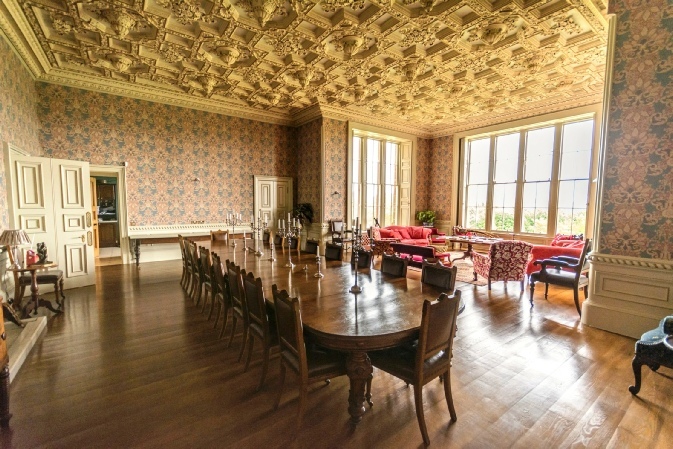 Situated in the Scottish Borders, with easy access to Berwick-upon-Tweed, Ayton Castle is an ideal place for weddings, civil ceremonies, receptions and events. This page also includes details of Staying at Ayton. Please feel free to contact the Factor, Simon Jones, for more information. 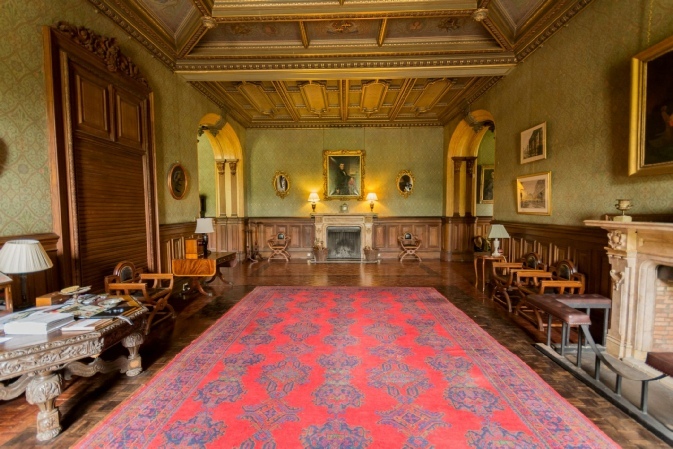 The main hall (shown above)can be used for a drinks reception or for a seated ceremony for up to 50 people. The Keyboard Hall is shown below. 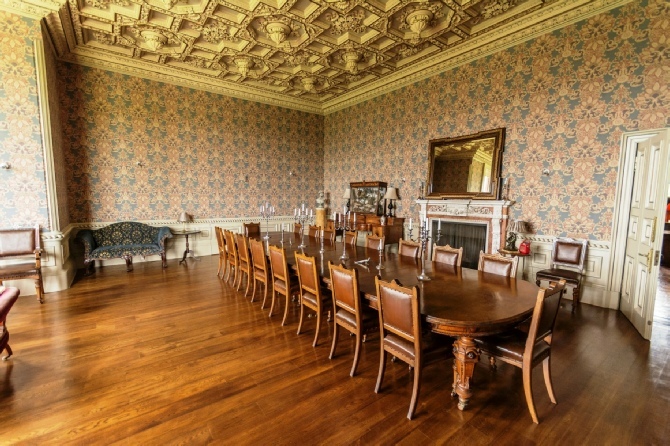 The maximum capacity for dining is 60 seated at round tables which we can provide. Alternatively, a rectangular dining table can be used to accommodate a maximum of 22 diners. The views from the dining room windows are stunning. 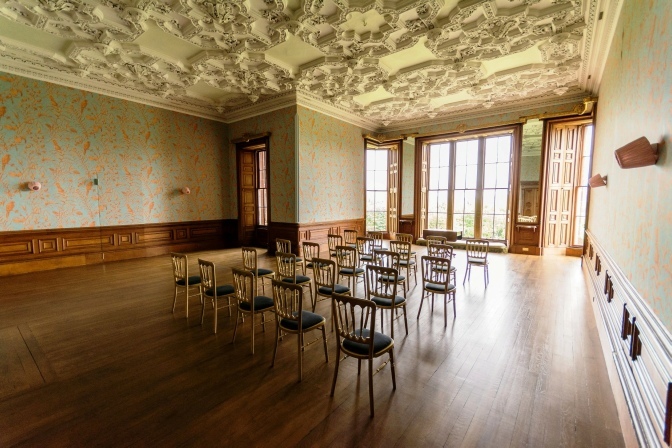 Complementing the dining room, the ball room (shown above) is ideal for dancing, a ceilidh, presentations, round-table group meetings or music recitals. 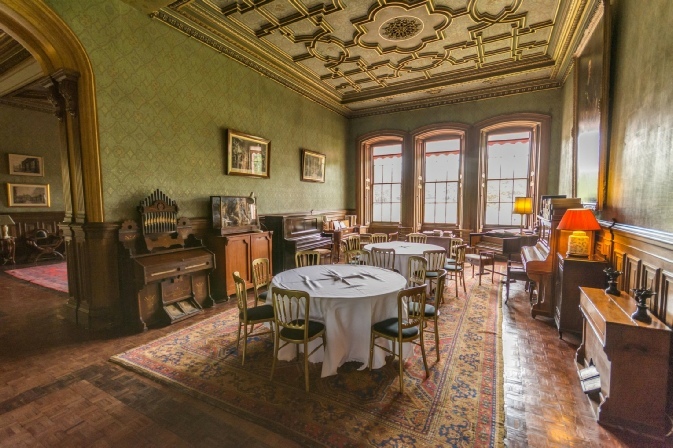 The ball room has a maximum capacity of 80 persons seated. 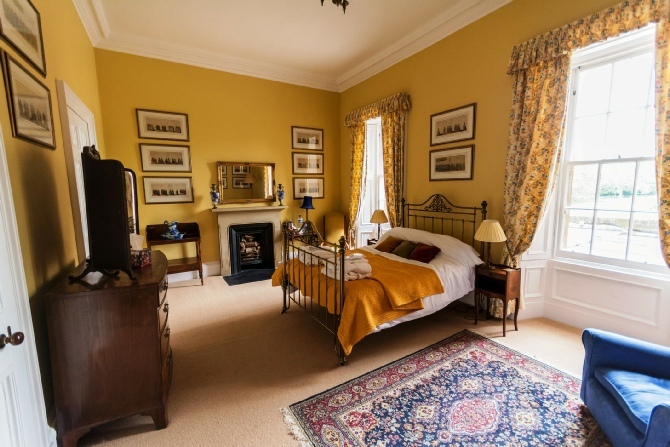 We have up to 15 bedrooms available, all decorated in an individualistic manner. They are on the first floor and in the two towers. 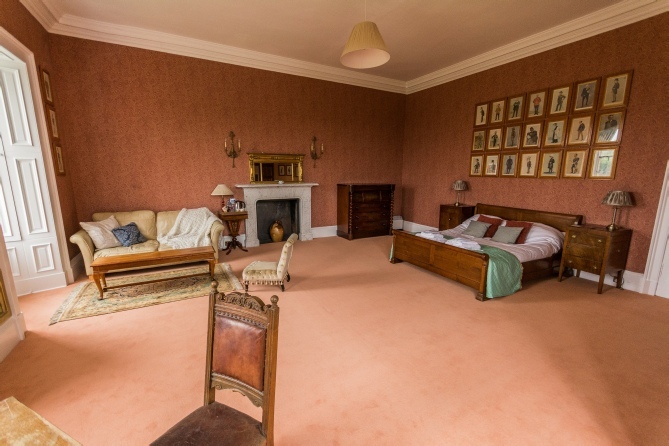 There is no lift and very few bedrooms are en suite, although bathrooms are nearby. 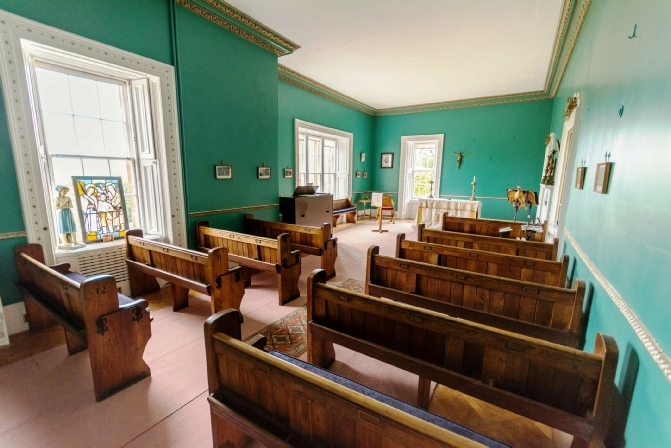 Our chapel was dedicated in 2015 and has seating for around 36 people. 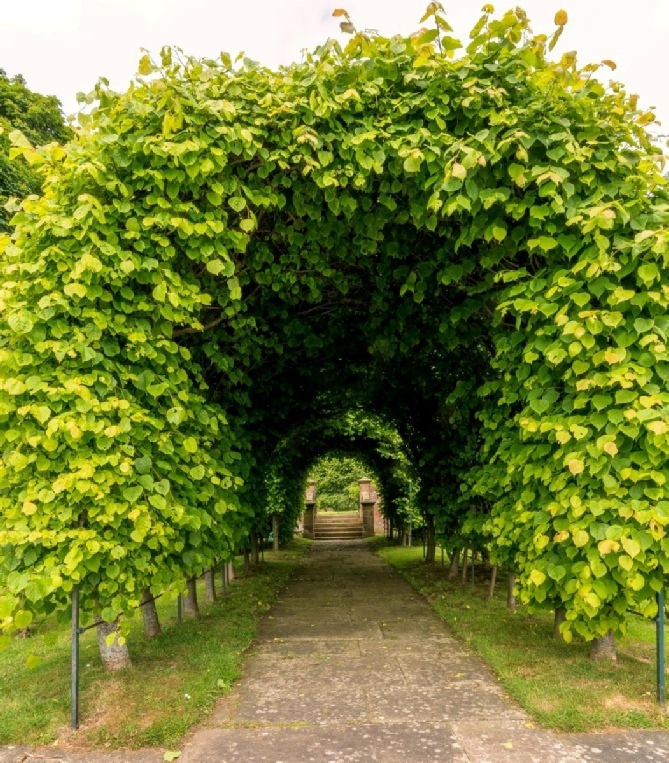 It is a place of quietness and contemplation and its ideal for retreats and quiet days. 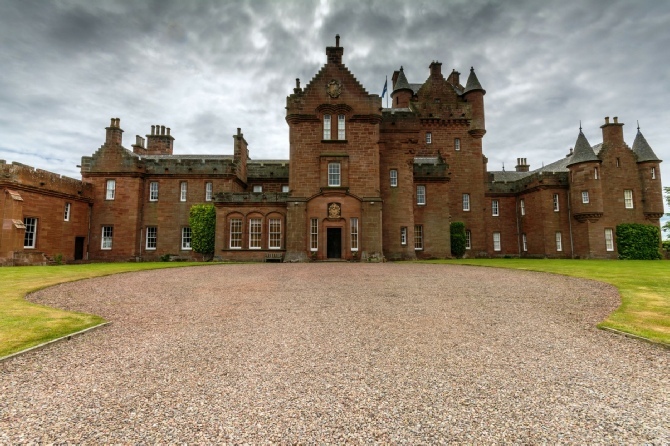 There are two lawns either side of the main entrance to the castle. 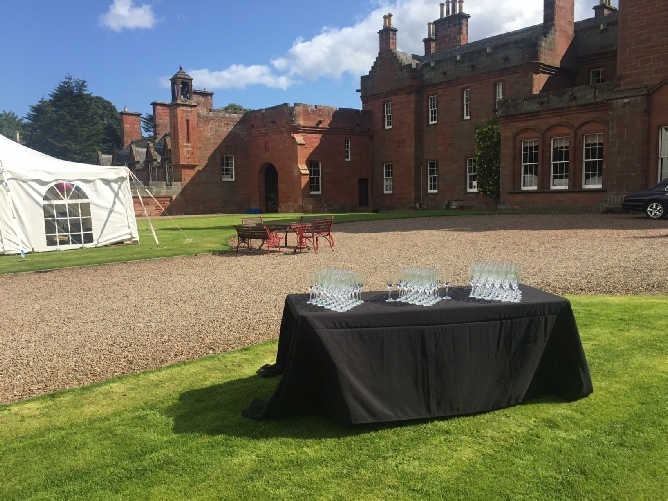 The west lawn can accommodate one large marquee and the east lawn can accommodate two large marquees. We can provide round tables and chairs, and there is an external point on the east lawn for providing electricity to the marquee(s). You are welcome to play croquet on either lawn. All photographs on this page are by Jonathan Combe.